Late last week, I had posted my thoughts about the reported hazing incident that happened at a party involving Dalhousie University's women's hockey team. The university responded harshly, suspending 19 of the 24 women on the team for the remainder of the season, forfeiting Dalhousie's hockey season due to a lack of players to field a team. Today, some of the members of the hockey team have spoken out about the punishment handed down by the university, and how the process was unfair to them. The details that have been emerging sound as if this was more like the Salem witch trials than an investigation. I'm not saying that the hazing incident wasn't hazing, but the details being given by the Dalhousie players make it seem as though they were judged as being guilty long before the investigation started. And I'll fully admit I didn't have any of the facts from the players' sides when I wrote my article linked above, so I'll build their case now. According to this excellent report filed by Henry Whitfield of the Dalhousie Gazette, the investigation into the team began "in October after a parent of one of the victims expressed concern to the team’s head coach." The investigation wrapped up in November. Why is it that the results of the investigation were released in January if the school believed the actions of the team to be a hazing incident, especially when they have a strict policy against hazing? Why wait so long and allow the women's team to play a game before shutting down their season? According to Dalhousie spokesperson Charles Crosby, there simply wasn't a good time to inform the students about their fates. “Is there an ideal date [for telling the team]?” said Crosby. “Probably not, but it’s also not an ideal situation. The date seemed like a reasonable window." I love the choice of words by Crosby in his statement. His usage of the word "accommodated" is, to me, a slap to the face of all the players. One normally isn't "accommodated" a potentially damning penalty when it comes to one's university career. The use of that word is almost comical if it weren't so insulting. While I respect their candor in ensuring that they didn't disrupt the players' lives too much before exams - a stressful time for any student - the fact that they waited until a day before the team's next regular season game is laughable. Why couldn't the members of the team be contacted after the university closed for the holiday season? What was stopping the university from telling the team on December 27? I'd like to see the rationale used to justify this decision. According to an unnamed player in the report filed by Whitfield, the hazing incident sound more like goofy pranks and questions than bullying, humiliation, and degradation. 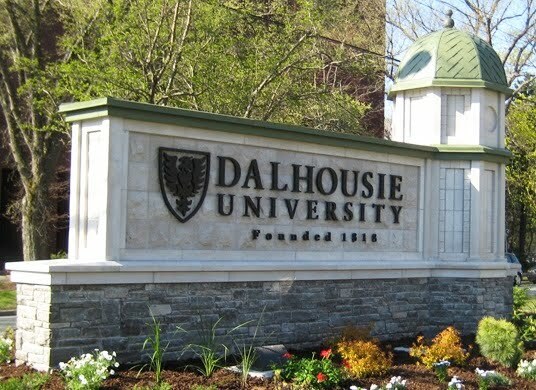 If Dalhousie University wants to win this public relations war, it will have to disclose its findings and/or evidence it is using to levy these punishments. Repeated requests by media outlets to see the details of the investigation have been denied by the university, and now the players are doing some very good damage control on their side. Based on the player's statement above, I can't understand how this was turned into a hazing incident unless something was lost in translation by the mother that reported it and/or the university's investigator(s). Adding some additional fuel to the fire was the opinion piece written by Jon Pickett in the Dalhousie Gazette. To hear what this team has been put through due to decisions made by the university makes me wonder why any of the women would be proud to wear the uniform. They have no official home rink? Well, they apparently did for the second half of the season as they were scheduled to play out of New Glasgow, nearly two hours from the Dalhousie University campus. As Mr. Pickett writes, "How much did the cost factor of traveling to New Glasgow—which would have been their second semester rink—for home games, putting the team in a hotel and paying for meals affect the school’s decision?" Makes you wonder, right? I totally agree that by calling this party a "hazing incident" that it was easy to turn on the women of the Dalhousie hockey team. We've seen lots of incidents of hazing gone bad where players are emotionally scarred. The word "hazing" carries such a negative stigma that one has to take the mere mention of the word very seriously. Making the women villains could allow Dalhousie University the appearance of doing the right thing despite the difficulty of canceling the season for their students and campus. I'll admit that I bought the story because of the word "hazing" and was quick to wag my finger at the women. I'll fully admit that I bought in hook, line, and sinker due to the stigma attached to hazing, and because of what I've seen in hockey circles. If the devil is in the details, I fully admit that I jumped to conclusions when it came to the university labeling these women. And therein lies the rub. The "in any form" portion of the policy could be applied in this situation, and I'm suspecting that the university is doing so. While they list possible punishments of "immediate suspension or dismissal from the Dalhousie University varsity program and/or the university", I'm not sure that the incidents described by the unnamed player above would warrant such a harsh penalty. Where I'm finding fault with the punishment is that while the players have admitted that these actions happened, I'm not so sure that cancelling the season is the right punishment for some teenage antics. Again, if the university would be forthcoming with its findings and/or evidence, perhaps I could agree with the decision to forfeit the season and suspend the team for their actions. But they have not, so I'm siding with the players at this point in finding the university's punishment to be severely egregious considering what went on at that party. If the actions committed by the players are as they say, the outrageous penalties sanctioned against the team certainly do not fit the "crime". Until Dalhousie University releases its findings in the investigation, they shall be considered the villains considering the trials and tribulations they have put these women through to play hockey. Transparency, however, would make everything much clearer.